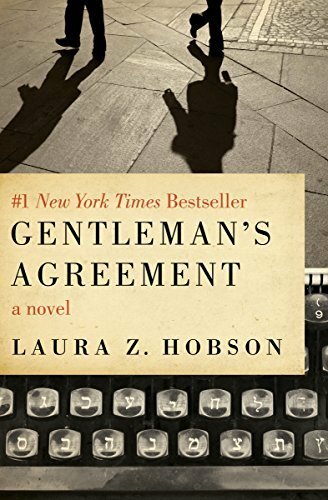 Laura Z. Hobson (June 19, 1900 – February 28, 1986) was an American novelist best known for her 1947 novel Gentleman’s Agreement, which was made into an award-winning film of the same name. Born Laura Kean Zametkin in New York City, she and her twin sister Alice grew up on Long Island, their parents were highly educated refugees from czarist Russia. Her father was the first editor of the Jewish Daily Forward; her mother did social work. 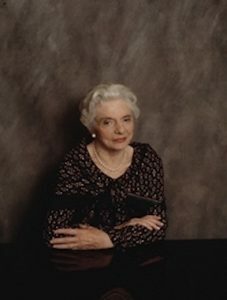 Before she became a full-time novelist with the 1947 publication of Gentleman’s Agreement, she had been a successful writer of advertising and promotional copy on the staff of Luce publications, where she wrote for Time, Life, and Fortune. Laura studied at Cornell University, from which she earned a Bachelor’s degree. Women were very much in the minority at this and other Ivy League schools at the time. In 1930, she married publishing executive Thayer Hobson, with whom she coauthored two westerns. Some five years later, her husband left her and the couple divorced. That year she wrote her first short story, and soon found a steady market for subsequent stories in the popular magazines of the time. Within five years, Laura felt secure enough to give up her position as promotion director for Time magazine to devote full time to creative writing. Incidentally, she was the first woman Henry Luce had hired to work in a non-secretarial capacity in his publishing empire. In 1937 Laura adopted a son, who she named Michael Z. Hobson. This was quite unusual for an unmarried woman at that time. In 1941 she gave birth to another son, who she named Christopher Z. Hobson. Not wanting Michael to feel stigmatized as the adopted child of the family, she kept her pregnancy secret, giving birth under an assumed name so she could then adopt Christopher using her own name. As a single mother, she supported herself and her sons with her writing. Her sons didn’t learn the strange truth — that Christopher was actually her biological son — until they were adults. 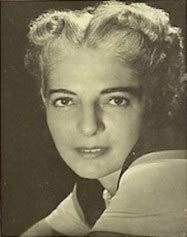 In addition to nine novels, Laura also wrote two children’s books and hundreds of short stories, features, and news articles. According to her, the storylines in her novels were based on her own experiences. 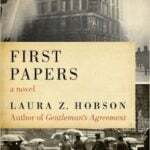 First Papers reflected on her childhood as the daughter of Russian-Jewish immigrants. Like her own father, the fictional patriarch of the Ivarin family is the editor of a Jewish daily newspaper. The Tenth Month is the story of an unwed mother, mirroring some of Laura’s story as a real-life single mother by choice. The story of a mother’s coming to terms with her son’s homosexuality was based upon her experiences with her son Christopher, and was published as the novel Consenting Adult. 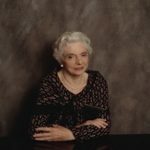 Though some of her novels were clearly stronger than others, it’s still a loss for this author to have been largely forgotten. She wasn’t a particularly literary kind of wordsmith, but her writing was clear and sharp, especially her readable fiction reflecting midcentury New Yorkers. 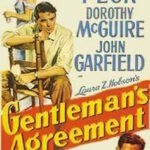 Gentleman’s Agreement (1947) is an examination of “polite” antisemitism. It takes place in the New York City area, in the years just following World War II. Though it’s not as autobiographical as some of her other books, it must have drawn upon her skills as a keen observer of social mores. As a Jewish woman who traveled in professional circles in midcentury New York City, she was sensitive to both the subtle and open bias in against Jews. This manifested as restrictions in housing, jobs, schools, and hotels. Antisemitism was common and even political discourse. Laura told her publisher, ”I’ve got an idea for a book that the magazines will never look at, the movies won’t touch and the public won’t buy — but I have to do it.” Her publisher disagreed with her, and to the relief of all, she was wrong about the book’s prospects. 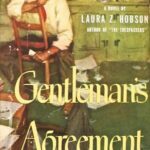 Gentleman’s Agreement tells the story of Phillip Green, a journalist who poses as a Jew to experience antisemitism as an investigative report for a magazine. When the book was published in appeared in February 1947, it hit the bestseller lists and stayed there for many months. It was translated into more than a dozen languages. The film version of the book was also huge success, much to the surprise of the author. 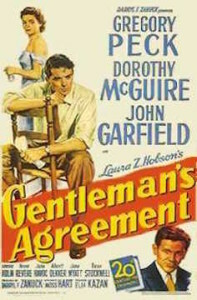 Starring Gregory Peck and Dorothy Maguire, the movie of the same title won numerous awards, including the Academy Award as Best Picture of 1947. It received scores of other film awards, including one from the New York Film Critics as best film for that year. The Tenth Month (1979; starring Carol Burnett) and Consenting Adult (1985) were filmed as made-for-TV movies. 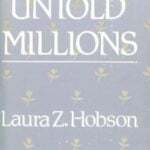 Laura Z. Hobson continued to write prolifically until her death from cancer (1986) in New York City.